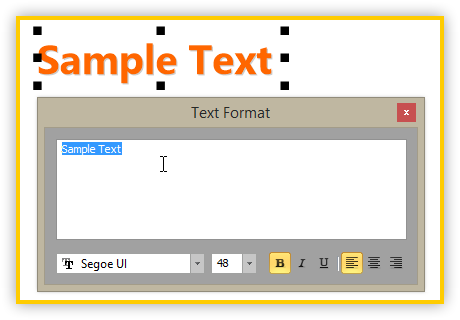 The default font for Text objects is now set to “Segoe UI” on Windows Vista and above. Also, font name, size and style are now correctly restored after restart. NOTE: WinSnap 4.5 is a free upgrade for all registered customers. If you experience any problems with activation, please send an email to support@ntwind.com with your registration information (name and email).